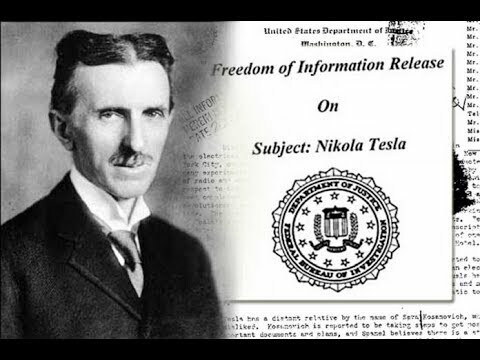 (2012 The Awakening) The FBI has finally released the documents that it seized from Nikola Tesla in 1943. The FBI’s actions regarding seizing Tesla’s intellectual property after his death have long been a source of resentment, especially for those interested in his legacy and scientific contributions. It is true that the FBI seized his personal belongings, but it’s not well known that these items were shipped to Belgrade in 1952 under mounting pressure from Tesla’s nephew, Sava Kosanović. In total, Tesla’s belongings fit into 80 trunks that were shipped to Belgrade at that time. Those items are now found in The Nikola Tesla Museum in Belgrade and it houses the largest collection of Tesla’s personal belongings. Part of the outrage concerning the FBI seizing Tesla’s property upon his death was the fact that Tesla was a US citizen. So the fact that the Office of Alien Property was the division that carried out this order makes this seizure one that many viewed with suspicion. Also, it was perfect fodder for conspiracy theorists. What’s not clear, though, is whether the FBI handed over absolutely everything to Tesla’s nephew. Well, it looks like you can now wade through all the documents yourself now to find the missing puzzle pieces.